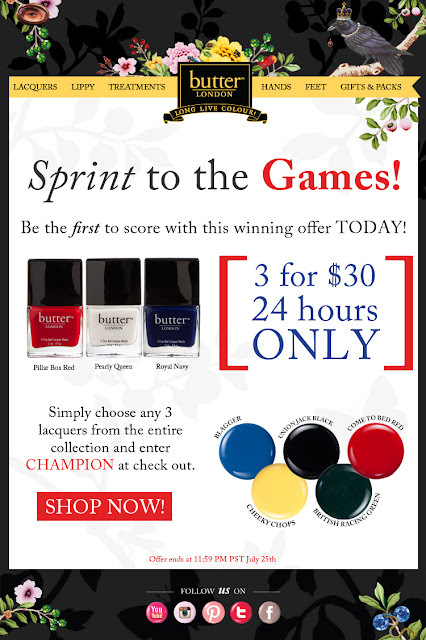 polish insomniac: butter LONDON sale - 3 for $30! butter LONDON sale - 3 for $30! Get any of the A-England Mythicals for $8.03! Beauty Blog Coalition $400 Survey Sweepstakes! Is Nail Art "Art" or "Craft?" What in my June Glossybox?